Ships today if you order in the next 5 hours 13 minutes. 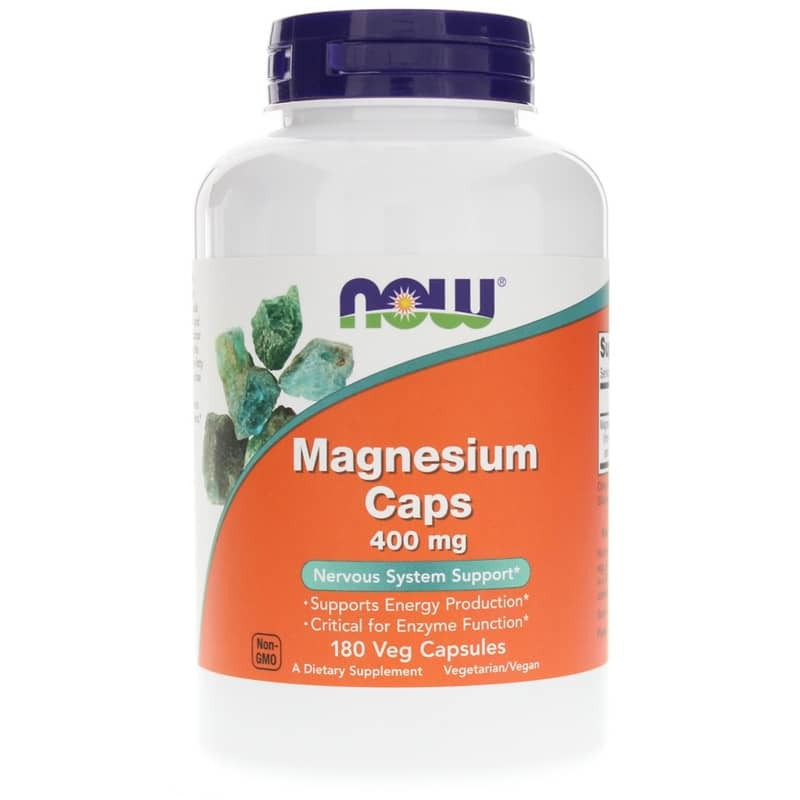 Now Foods Magnesium Caps 400 mg is a dietary supplement that may help support energy production and enzyme function. 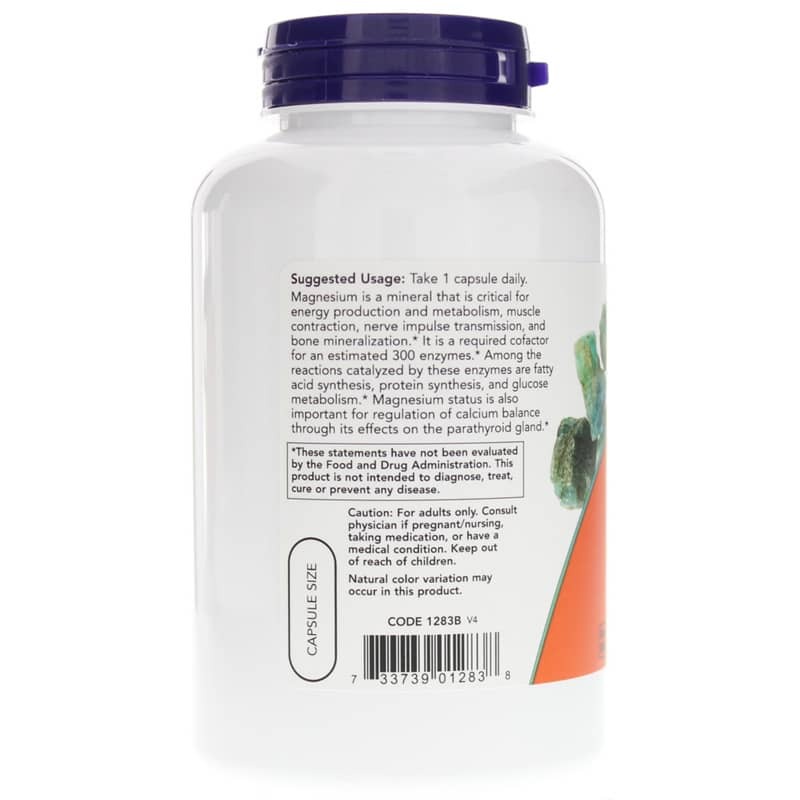 Magnesium is a mineral that is critical for energy production and metabolism, muscle contraction, nerve impulse transmission, a healthy immune system, and bone mineralization. 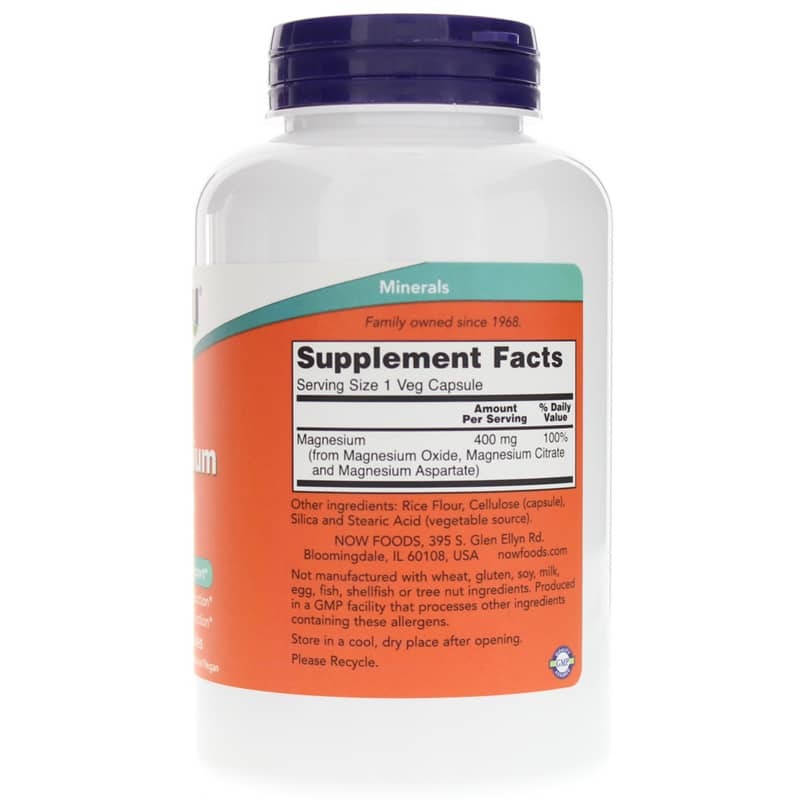 Magnesium also helps regulate blood sugar levels, promotes normal blood pressure, and is known to be involved in energy metabolism and protein synthesis. It is needed for over 300 biochemical reactions in the body, including fatty acid synthesis, protein synthesis, and glucose metabolism. Around 50% of the magnesium found in your body is in your bones. The other half is found predominantly inside cells of body tissues and organs. Just 1% is found in your blood, but your body works extremely hard to keep blood levels of magnesium constant. Other Ingredients: rice flour, cellulose (capsule), silica and stearic acid (vegetable source). Not manufactured with: wheat, gluten, soy, milk, egg, fish, shellfish or tree nut ingredients. Produced in a GMP facility that processes other ingredients containing these allergens. Non-GMO. Vegetarian/Vegan.